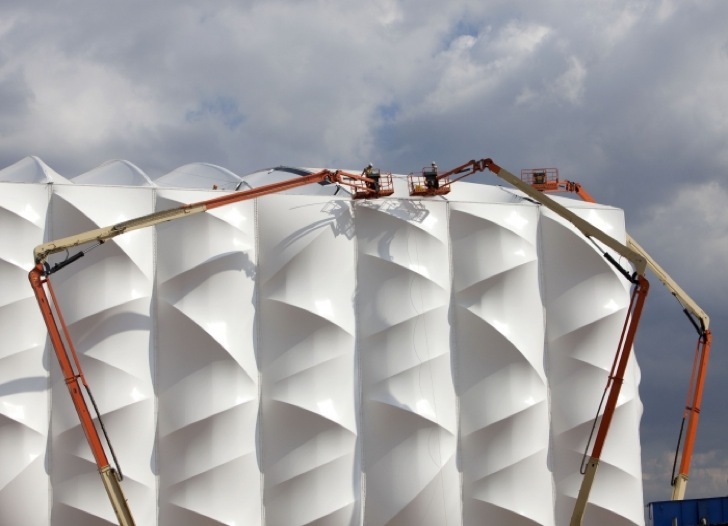 Completed a full year in advance, the groundbreaking <a href="https://inhabitat.com/tag/london-olympics">2011 London Olympics</a> Basketball Stadium is designed to be deconstructed and recycled. 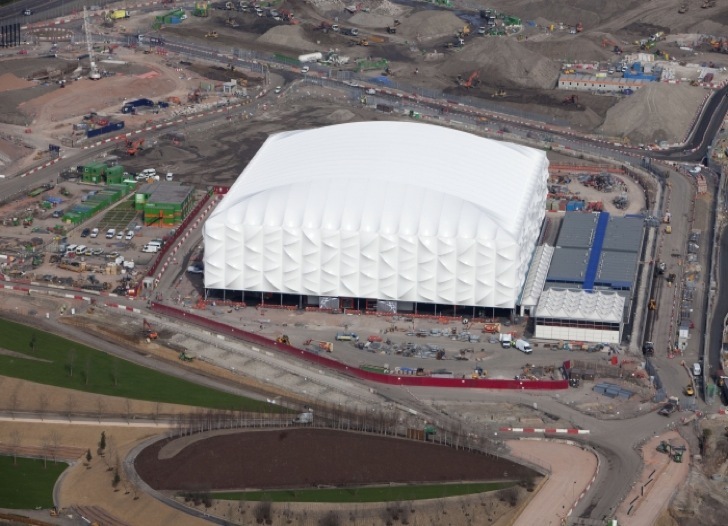 Every four years thousands of spectators converge on a lucky country pre-determined to be the best host for that year's <a href="https://inhabitat.com/hopkins-architects-completes-londons-2012-olympic-velodrome-stadium/">Olympic Games</a>, and until now, that privilege has been bestowed mostly on countries who could afford the mammoth building projects necessary to accommodate the throng. 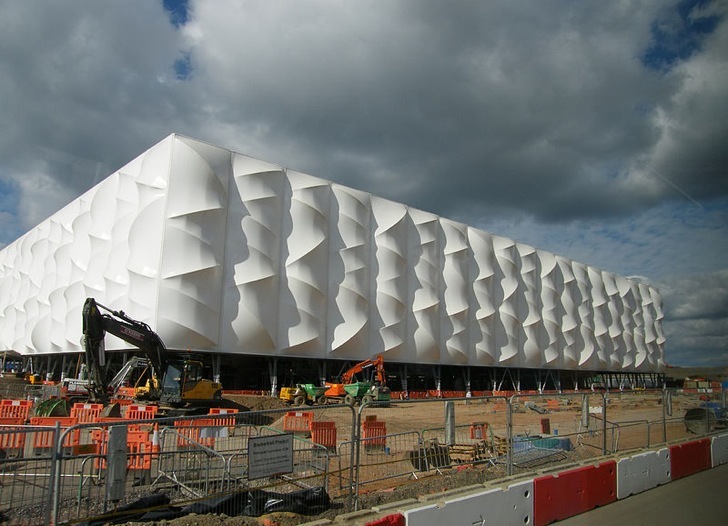 This could change with the innovative white-clad, recyclable basketball stadium, which was designed jointly by <a href="http://www.skmconsulting.com/">Sinclair Knight Merz</a>, <a href="http://www.wilkinsoneyre.com/">Wilkinson Eyre</a> and <a href="http://www.kssgroup.com/">KSS</a>. 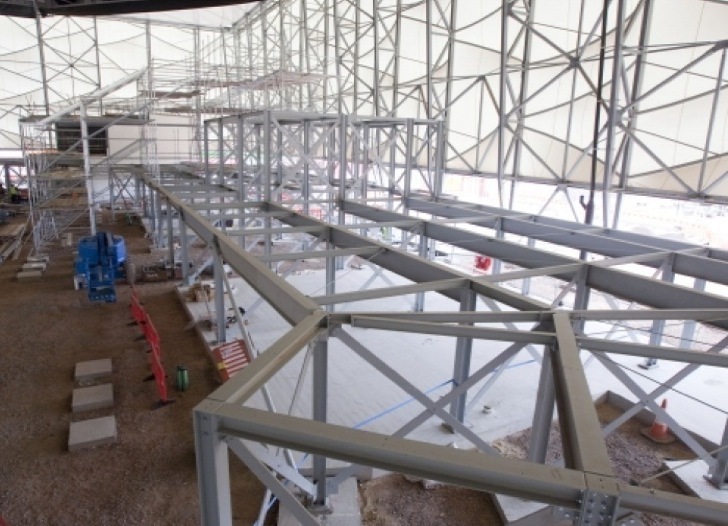 The 2012 Olympic basketball stadium is already complete - a full year ahead of schedule. 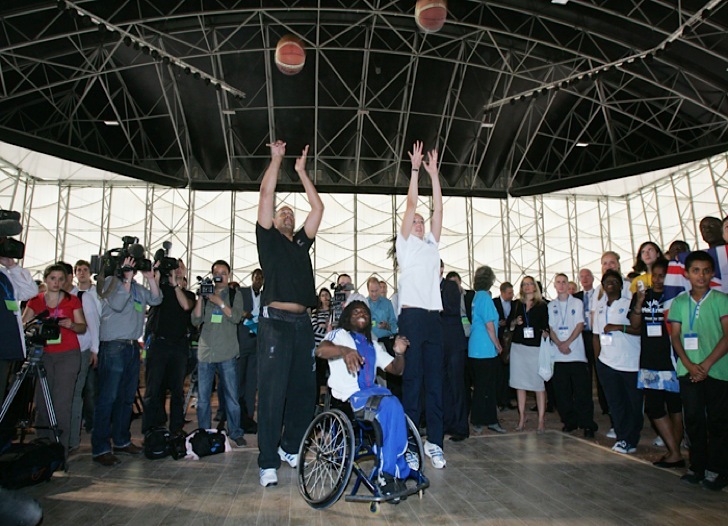 Unlike past Olympic stadiums, the 2012 basketball stadium was designed to be disassembled and reused elsewhere. 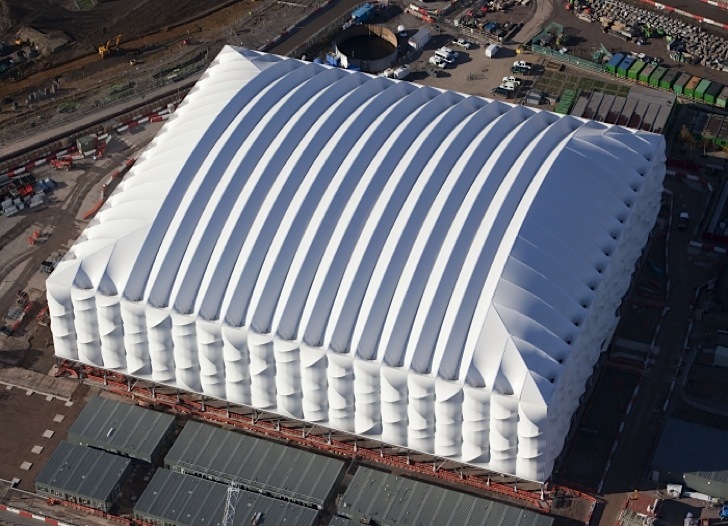 Made from a lightweight steel and wrapped in white cladding, the stadium is easy to take apart. A temporary stadium not only reuses scarce materials but also enables poorer countries to bid to host future Olympic Games. This new approach to the games could usher in a new era of more sustainable stadiums. The basketball stadium is initiated! 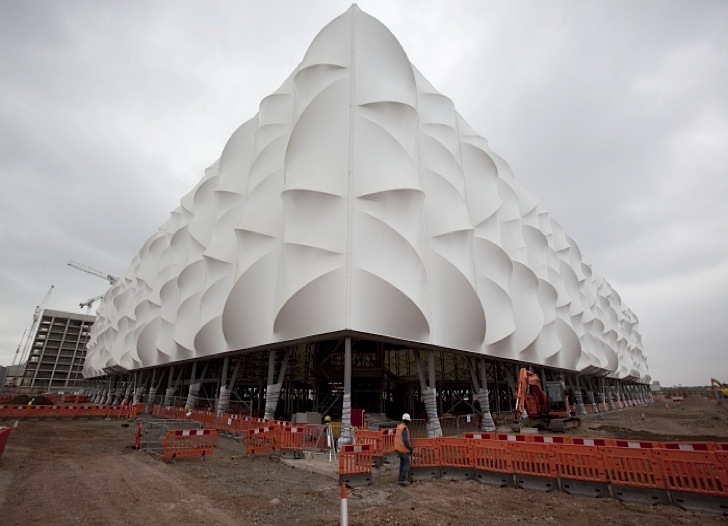 Completed a full year in advance, the groundbreaking 2011 London Olympics Basketball Stadium is designed to be deconstructed and recycled. Every four years thousands of spectators converge on a lucky country pre-determined to be the best host for that year's Olympic Games, and until now, that privilege has been bestowed mostly on countries who could afford the mammoth building projects necessary to accommodate the throng. This could change with the innovative white-clad, recyclable basketball stadium, which was designed jointly by Sinclair Knight Merz, Wilkinson Eyre and KSS.